$20 Towards Whatever You Like at Ancolie in Greenwich Village – From Rainbow Salads to Soups, Chia Pudding, Raw Balls, Matcha Latte etc. 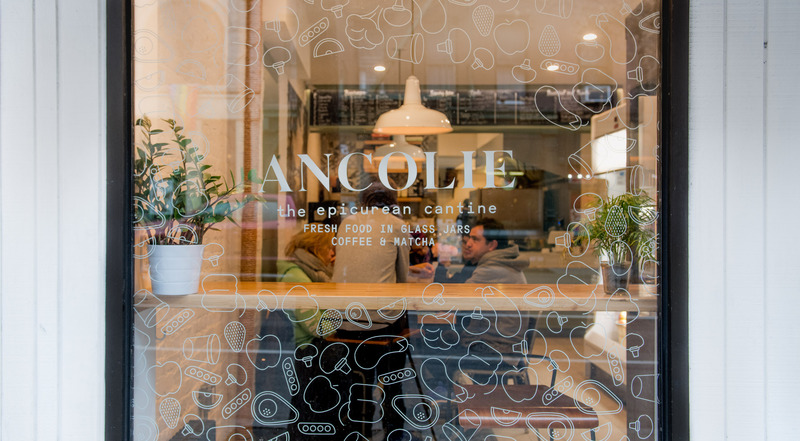 Hip Healthy Food: $20 Towards Whatever You Like at Ancolie in Greenwich Village – From Rainbow Salads to Soups, Chia Pudding, Raw Balls, Matcha Latte etc. 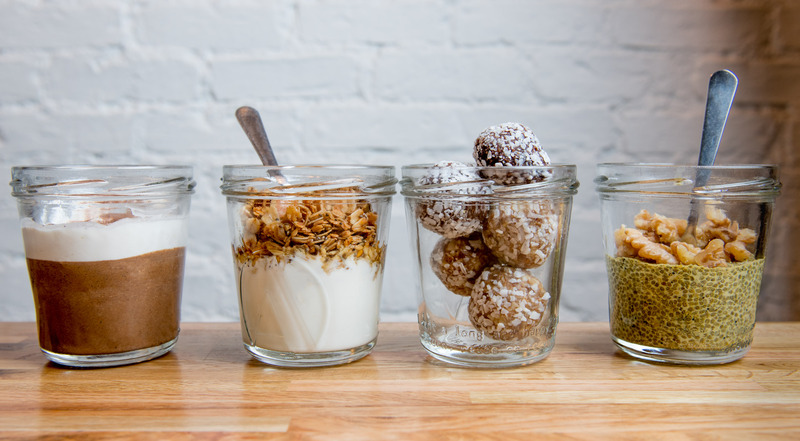 A hip health concept in Greenwich Village has made headlines in the biggest NYC food media. 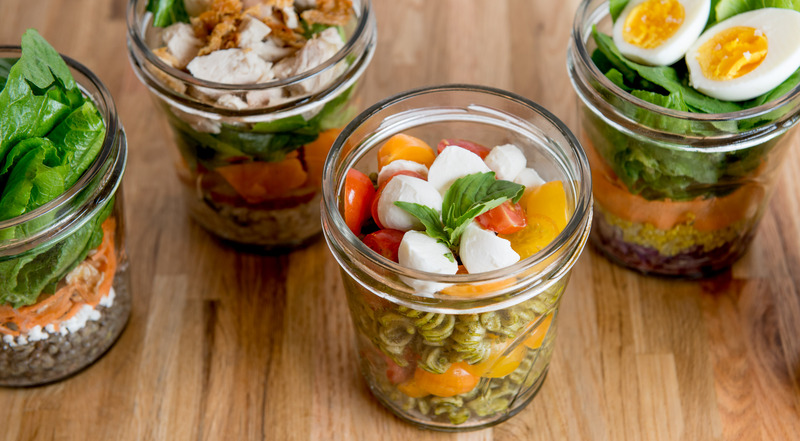 In the little oasis of Ancolie, meals are served in one form – custom made jars which are environmentally friendly and amazing to eat from. They offer busy New Yorkers richly flavored breakfast, lunch and dinner made on locally sourced ingredients from small farmers. 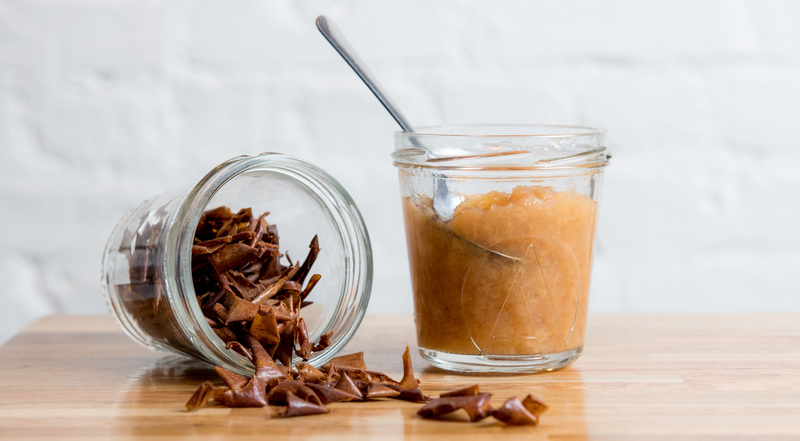 At Ancolie, everything is good for our planet and super delicious at the same time. 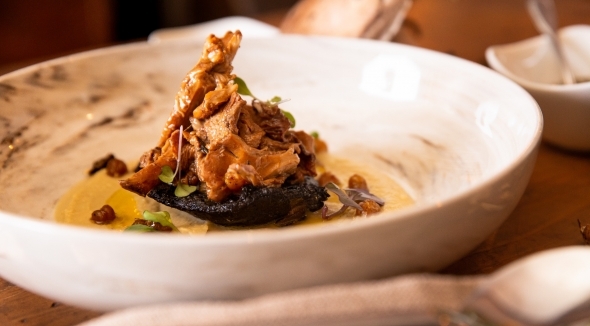 Choose between everything on the menu at Ancolie. Purchase one or more vouchers. Whether you are into wholesome jar salads, warm soups, chocolate desserts, fresh pastries or breakfast options, the choice is yours. 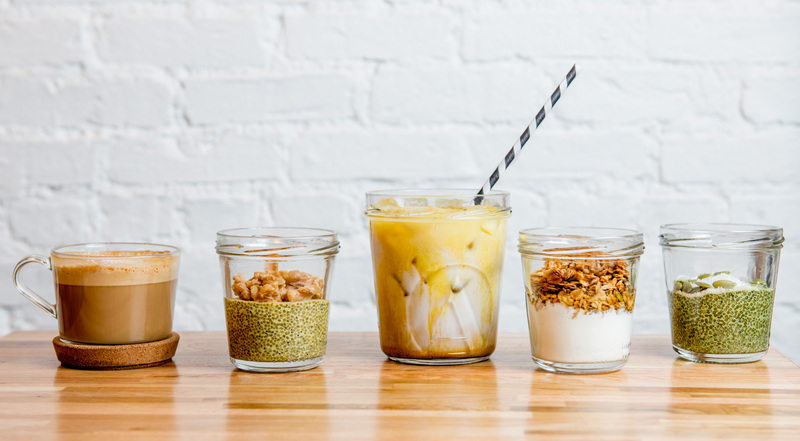 Try the gluten free granola parfait or the matcha chia pudding. Get the Rainbow Salad with red cabbage, infused quinoa, carrots and miso dressing. Enjoy the soup of the day or the Ancolie Jar with goat cheese, lettuce, walnuts and Dijon mustard dressing. Taste gluten free chocolate cakes and apple compote made with local apples. 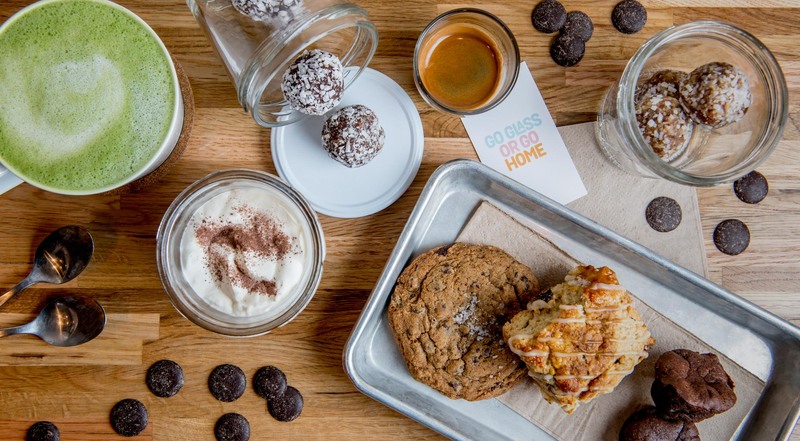 Enjoy specialty coffee and delicious teas, vegan chocolate chip cookies, scones and much more. There should be Ancolies all around the globe! An amazing place trying to do the right thing for the planet and people's waistline! Everything is fresh and delish! Can't get enough of this place – so delicious! Ancolie is a haven for everything healthy and sustainable and the perfect spot for breakfast, lunch or a quick dinner after work. 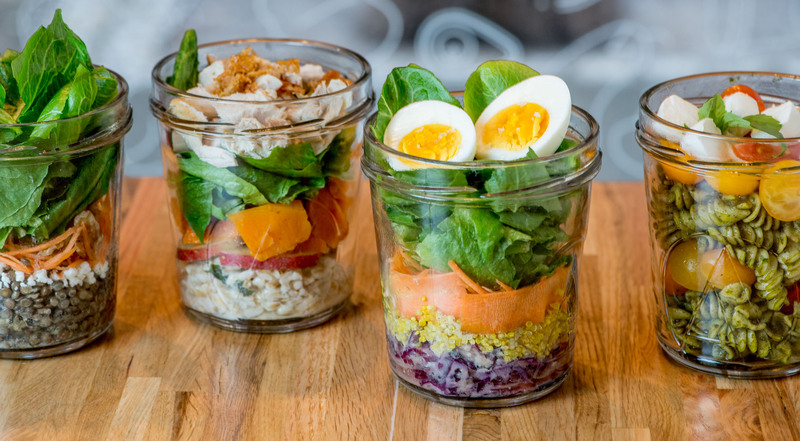 All their jars and drinks are suitable as to-go options, but if you have time, you want to sit down and enjoy your meal inside the beautiful cafe. At Ancolie’s, they only use produce that’s in season making sure it's fresh and pure. Ancolie's four-star rating by the Green Restaurant Association is a recognition of their efforts to minimize their impact on the environment – from using their creativity to reduce food waste, to composting of their food scraps, everything is carefully thought of. All initiatives to promote health both for guests and our planet.